With improvements in public transport, it’s never been easier to leave the car behind and if you do, you can sit back and enjoy the views in the knowledge that you are making a greener choice. You’ll be amazed how much your view of a place changes when you slow down and explore up close. Here are some sites and attractions along the major bus routes, which have easier access. Please click here for more Easier Access Attractions. The Museum housed in a 19th century hunting lodge in the castle grounds, is mostly accessible but there are flights of steps between some levels. the gravel paths around the grounds are mostly level, but there are some steep slopes. The area of flat grazing land next to the River Usk is perfect for a picnic and has paths of tarmac, grass or concrete grids. Some paths run alongside the river and are shared with a cycle way. This 12th century building houses an exhibition showing 1000 years of Abergavenny’s history, along with a foodhall ad shop. The barn is full accessible and has a lift on the first floor. These riverside meadows are close to the bridge over the River Usk, with a tarmac path that runs for 370 metres with seats and picnic benches along the way. 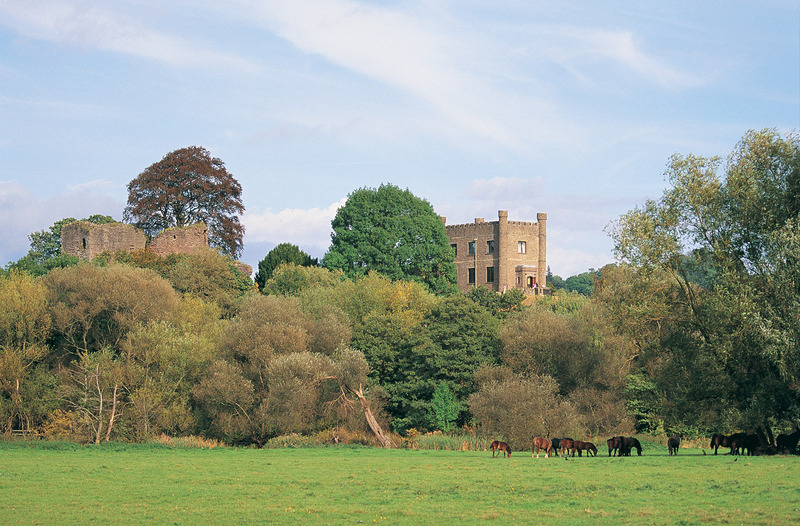 The remains of Alisby’s castle can be seen from the A40 through Crickhowell, and there’s a tarmac path from the main road through the bailey now a recreation ground. An early 13th century circular tower and medieval fortified house. The ground floor of the building is level and the grounds have cobbles in the courtyard and firm grass in the garden. 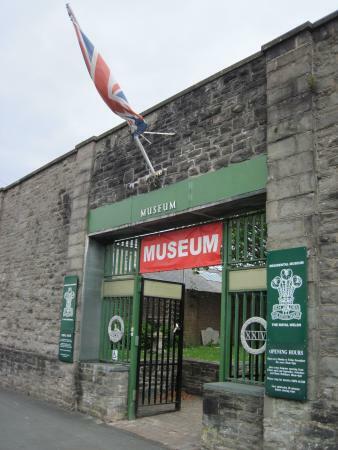 The museum charts the history of the South Wales Borderers, the Welch Regiment and the Royal Regiment of Wales (including displays on the Zulu War). The access to the museum is level. Public boat trips (including one with a wheelchair life) operate from here alone one of the most scenic and spectacular canals in the Uk. You can also access the towpath from here for a short 500m canalside walk to a picnic area. The historic cathedral is open every day and all buildings are accessible, with a ramp into the cathedral itslfe. The 16th century tithe barn houses the heritage centre, shop and Pilgrims restaurant. Easy to follow, mostly surfaced paths take you through this beautiful 40 acre country park to woodland, meadows, lakes and picnic areas. This information centre provides an insight into the history of the local area and information on the National Park. The heritage centre is on the first floor, which can be reached by stairlift. This entry was posted in Abergavenny, Activities, adventure, Brecon, Brecon Beacons, castles, crickhowell, family days out, Uncategorized and tagged accessible, attractions, bus, Car free, Easy Access, Museum, Public Transport, things to do. Bookmark the permalink.